Special experiences all packaged up & ready for you to enjoy! Looking for unforgettable, authentic Australian experiences to entertain overseas guests? Searching for a memorable experience to give or share with someone special? An Easter indulgence for adults! Enjoy a handpicked flight of three of our boutique French style wines paired with three luscious chocolate creations from artisan chocolatier, Chocolate 5018. 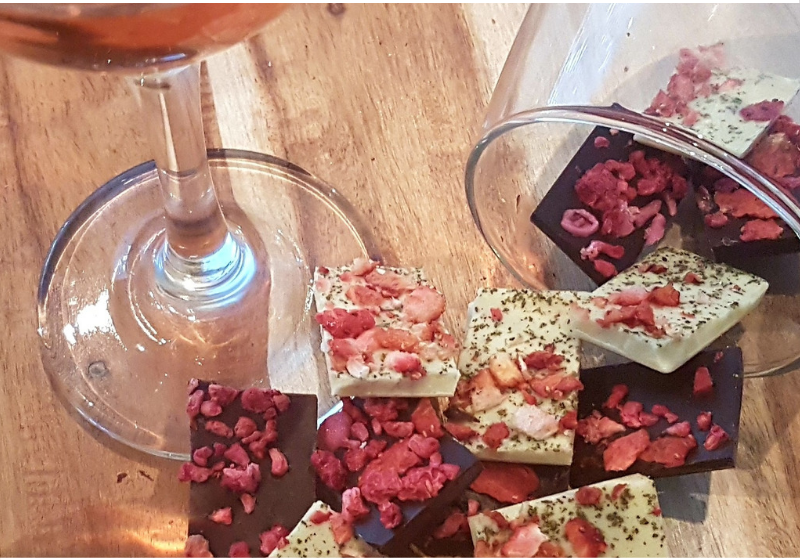 Working with the National Wine Centre, Chocolate 5018 has handcrafted these chocolates to pair with specific wines. Each chocolate combines a rich blend of the finest Belgian couverture chocolate and exquisite ingredients. Chocolate & Wine pairing flights cost $10 per person. Available all Easter long weekend, or until the chocolate runs out! Our 21st anniversary is almost upon us. 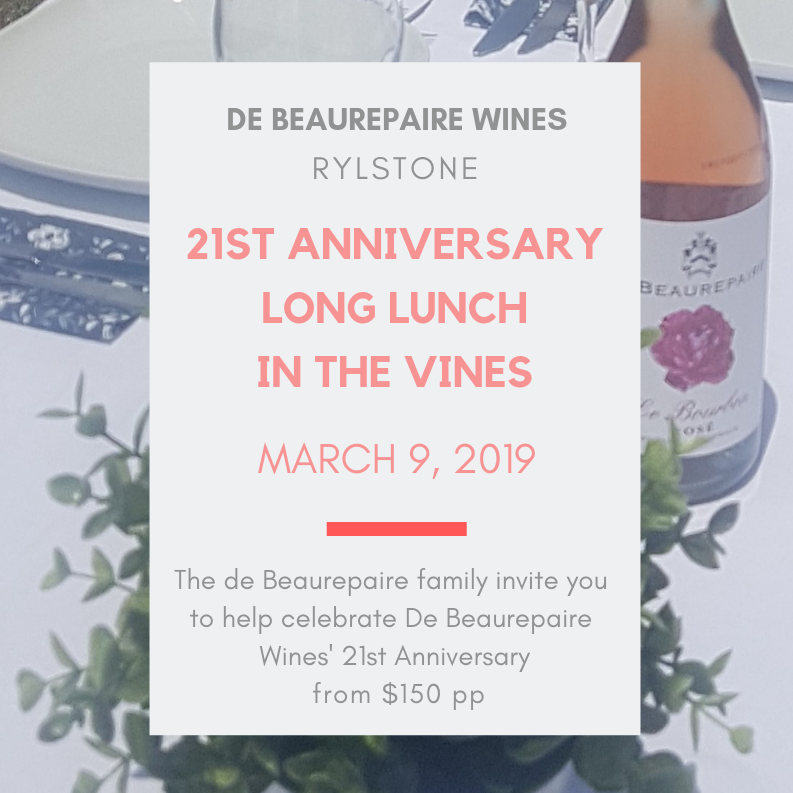 21 years ago Richard & Janet planted the first vines in Rylstone. What started as one couple’s passionate endeavour has grown into a multi generational family affair with our wines now available throughout Australia’s best restaurants, premium hotels & iconic bars. Please join us for a 3 course celebration lunch in the vines including a selection of our wines. Soak up beautiful vineyard views, savour delicious food & wine, and enjoy live music in the company of friends. We will be providing bus transfers to & from either Rylstone or Mudgee. As fans of our wine, we would like to invite you to join our celebrations. Tickets are strictly limited and are on a first come, first served basis.